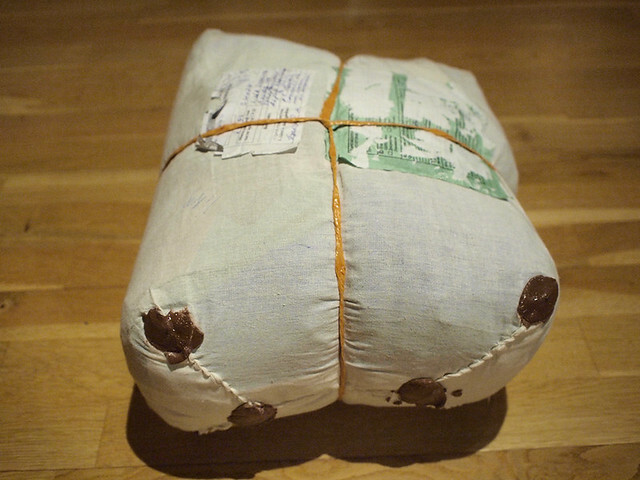 This is how posted parcels looked like in f. Soviet Union when I was little – you were supposed to sew it all in a white cloth with white thread and postal lady would seal it with brown pitch stamps. And they still look like that in Tajikistan. Because this parcel is from my former gene bank colleague from Dushanbe! I worked there on the Tajik gene bank development project three years ago. 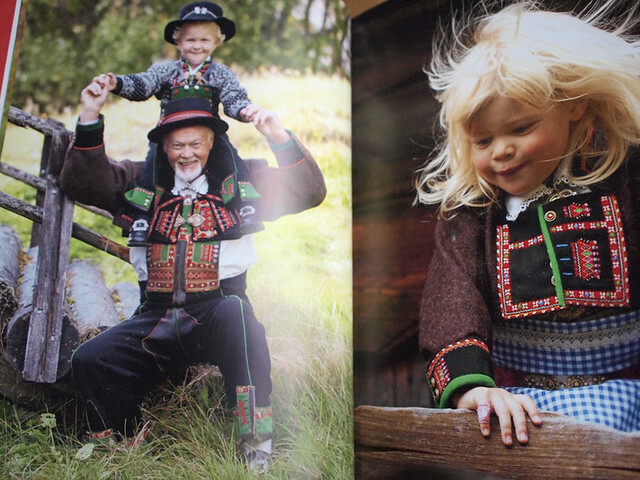 Together with the most hospitable, generous and kind people in the world. Heavy, smooth and silky stuff. 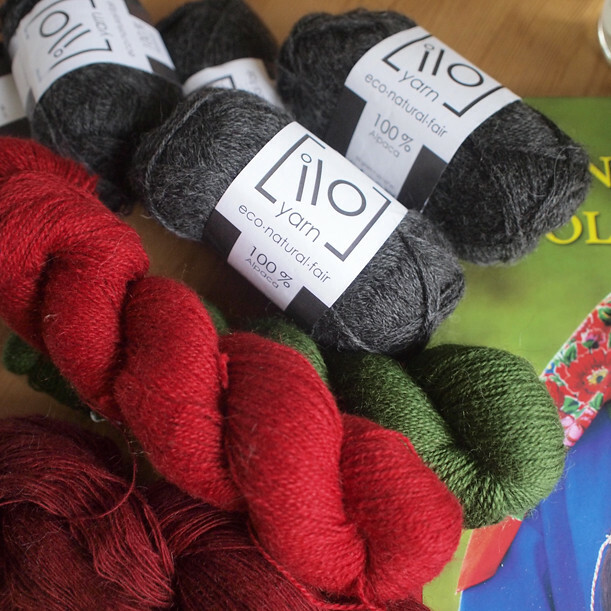 I am thinking of a large woven throw-plaid sort of a thing (I would need three times more yarn) , we’ll see. I am back from my self-proclaimed and self-indulgent summer holiday. 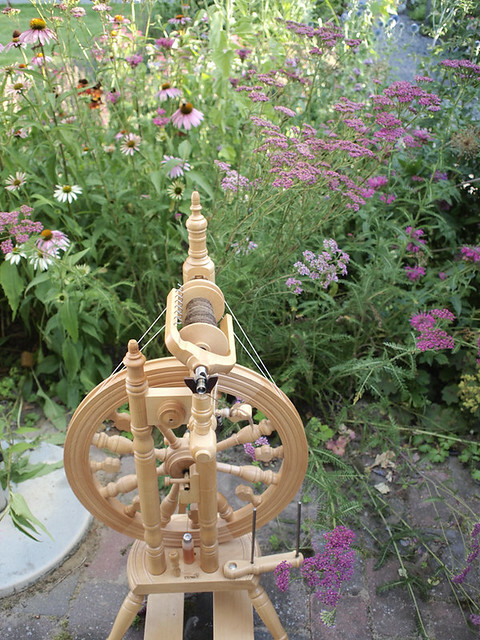 I have spent it mostly sitting in the garden and carding and spinning wool. 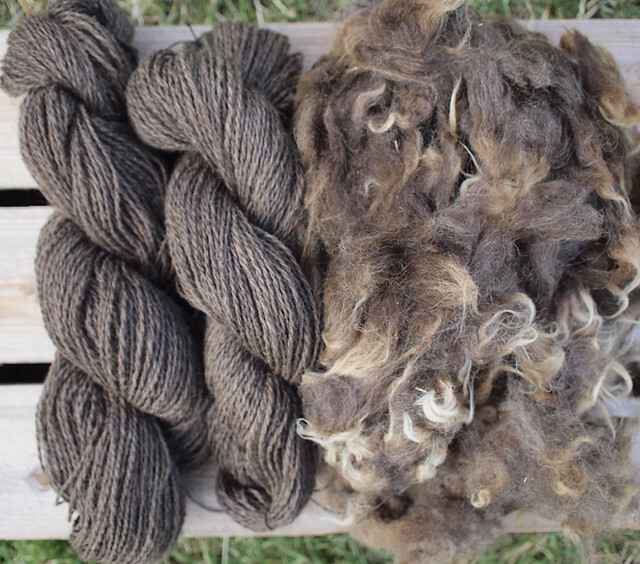 Last autumn my father-in-law left two huge sacks of wool in our garage. 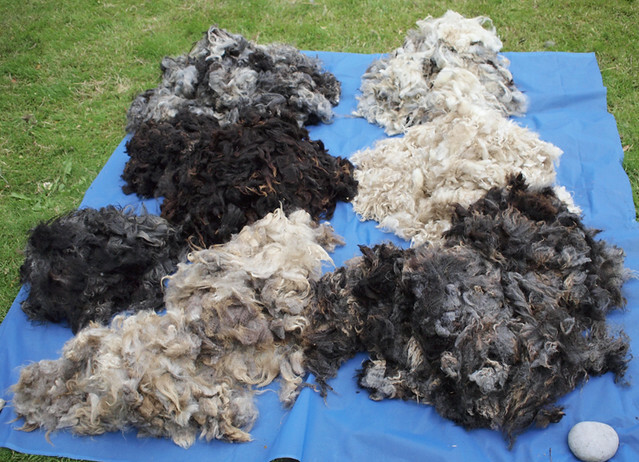 Unsorted, unwashed, from unknown breed, full of straw and dirt, “just wool”. I’ve decided to have a look at it (and may be try to sort it) mostly because those sacks take space in the garage, I thought I don’t have time to process it. 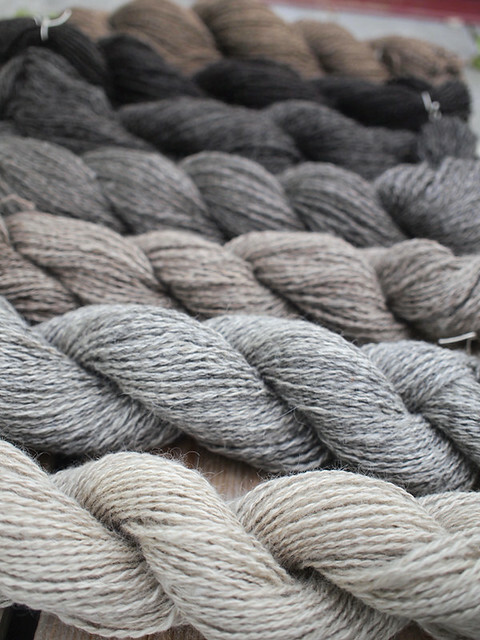 All the possible colors and fiber qualities. 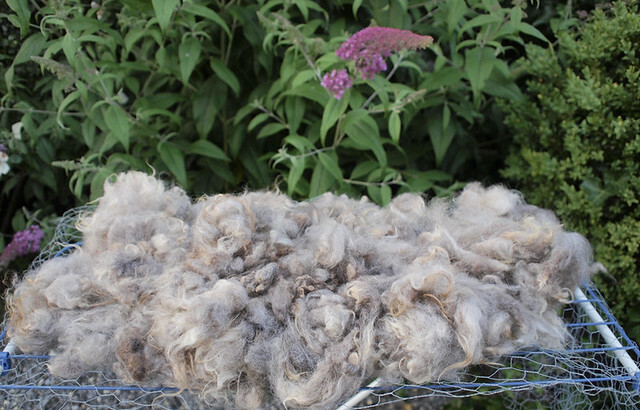 I have never tried to sort wool before, after throwing away 2/3 of it I still have 10 kg left, at least, may be more. 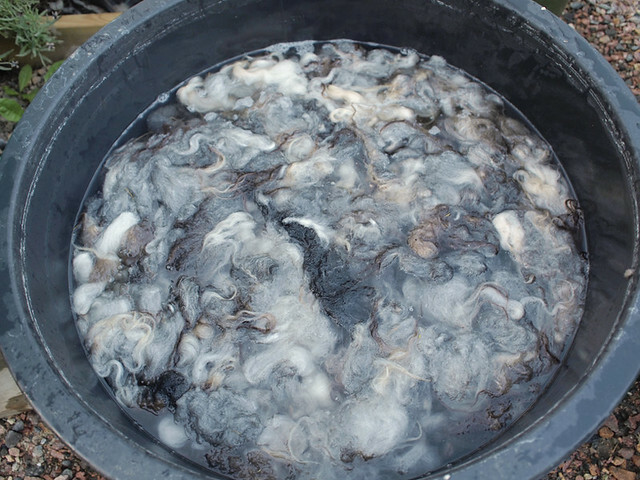 Since it ‘s been exceptionally warm and dry weather I have been washing the wool outside in the garden – soaking in cold water for a few hours and then drying on a net. 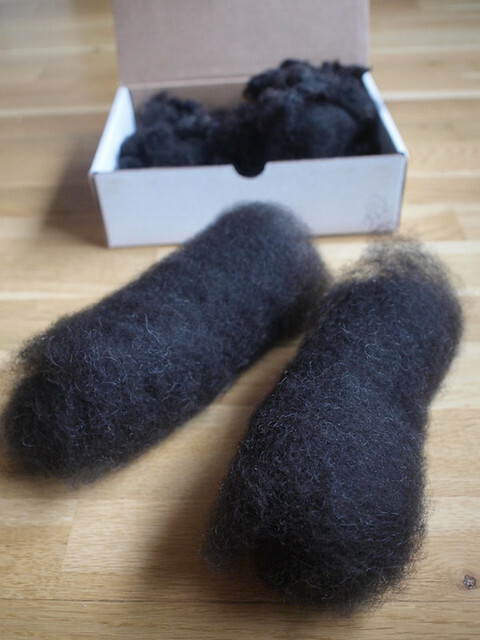 I liked this kind of washing (contra – warm water with detergent) because while all the dirt and dust is removed – the lanolin remains, staples remain almost intact, which makes it very easy to spin. all the debris is left outside. 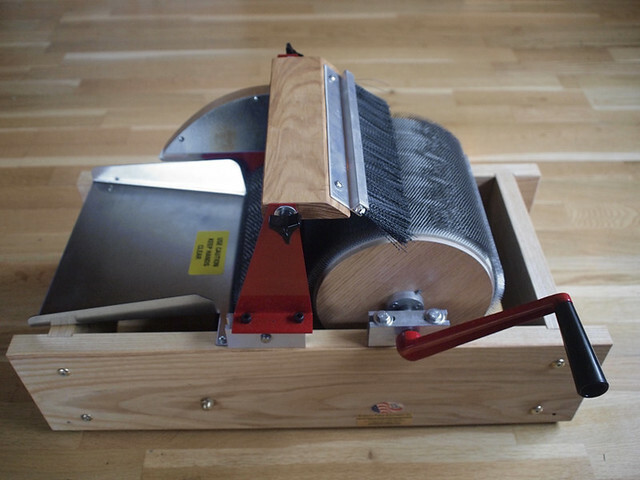 (I am very happy with my Strauch drum carder). I wanted just to try to spin one color, but ended up spinning for many days – talk about easily distracted. 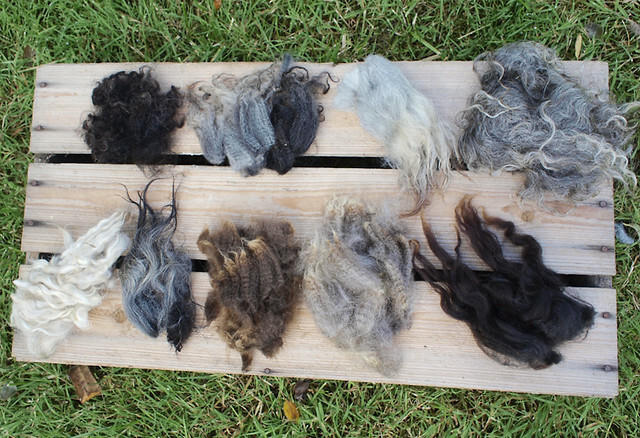 First I thought I could use the yarn for weaving blankets in all those beautiful natural colors, but now I realise that most of the fleece is double-coated – mixture of both fine wool and coarse hair , “peasant” sort of wool, which in the end makes it more suitable for carpet-weaving. 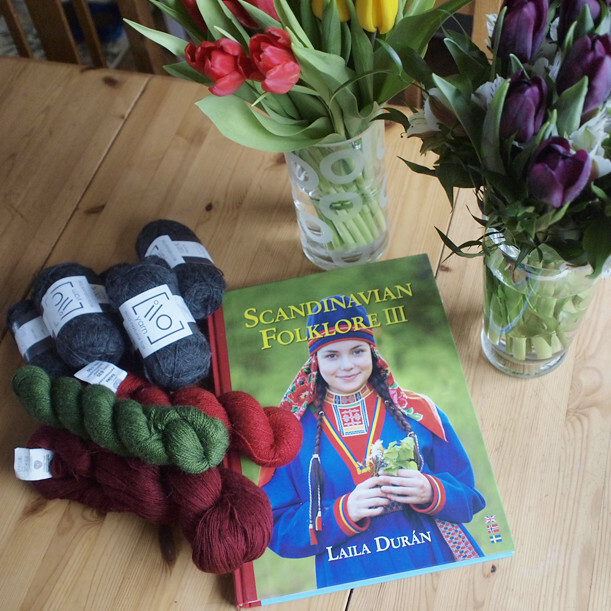 Ah, may be it will become a carpet one day – rölakan-style little carpet…. 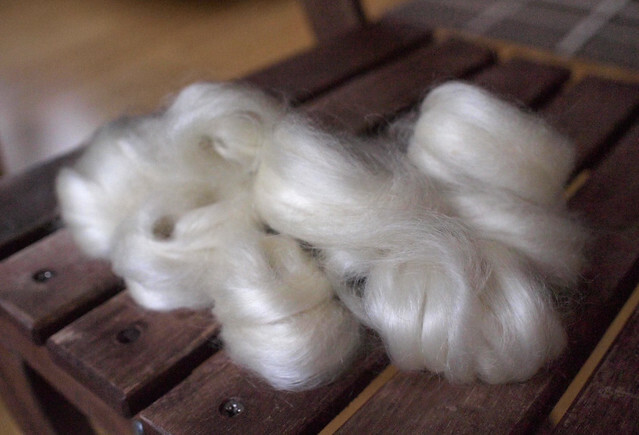 (I have spun only one kilo, I think I would need at a couple of kilos more) . We’ll see. 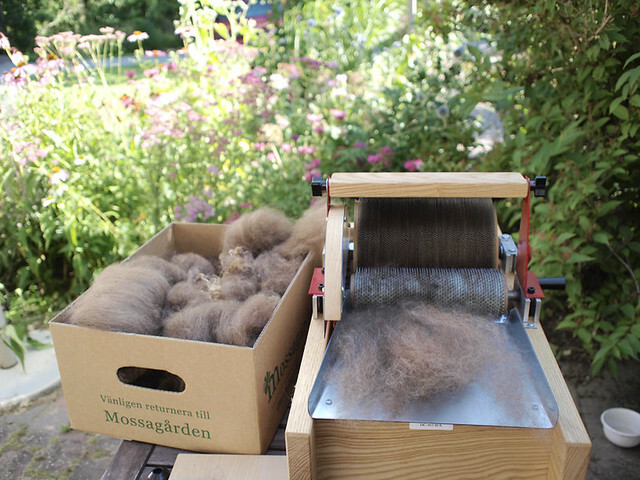 Well, it’s been a real summer wool-camp for me :) Now the summer weather is (totally) over here and I am back to my weaving loom. 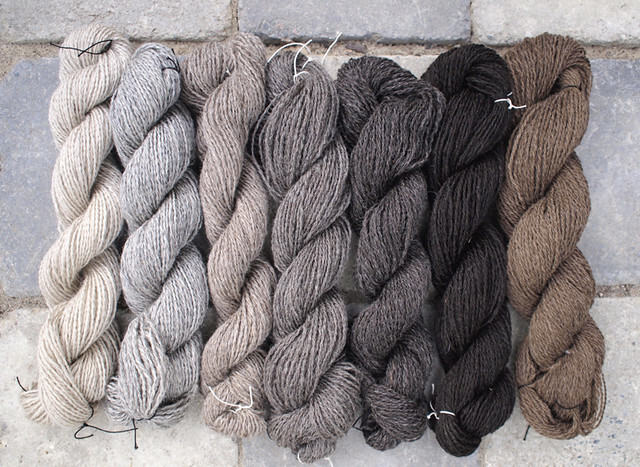 Colored Rauma tapestry yarn for my future rölakan project and really nice dark grey alpaca for a sweater for myself. Couldn’t resist and started knitting right away this sweater. 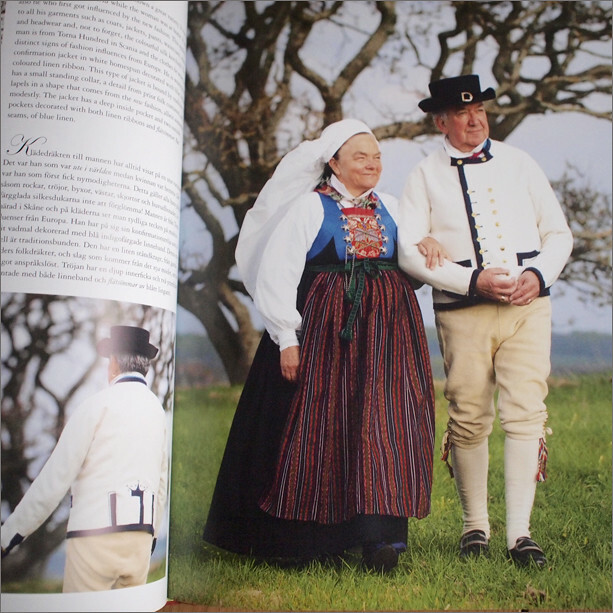 As for the book, it is the third volume on Scandinavian folk costumes, and it is pure eye candy. After reading all the discussions on the net about different carders I decided on Strauch finest (bought it via this shop in Denmark) and so far quite happy with my choice. 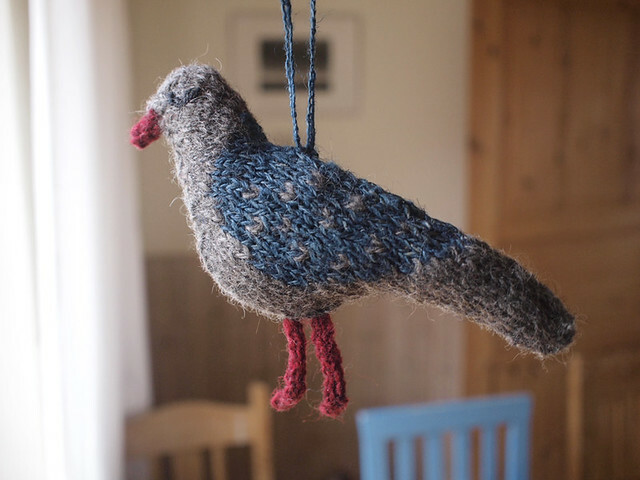 random decoration item, from handspun wool and indigo-dyed nettle yarn (used this pattern), don’t know, just had an impulse to knit it. 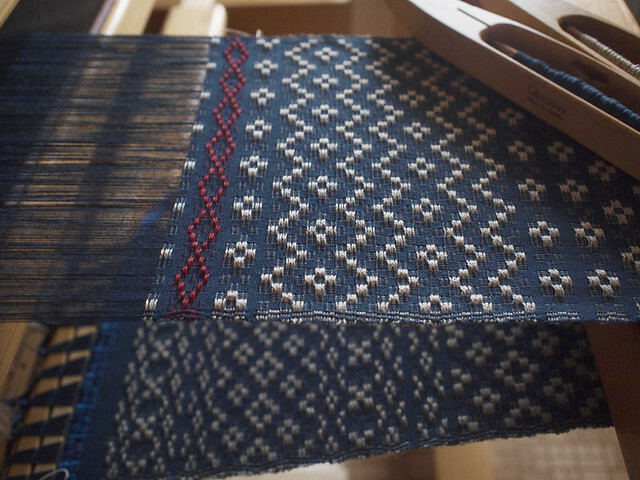 and preparing to weave a 8-shaft twill for the next school task.